1728  Cypress Trees Plantation has been in the Clark-Murray family since this year (2). It is believed this was the second house built at the plantation as materials used in its construction seem older than the 1830 construction date thus assumed they were reclaimed from a prior house (2). 1858  Susan Jane Clark married Joseph James Murray and the plantation has remained in the Murray family since (2). Early 1900s  The house was extensively remodeled including the staircase being moved so the front of house would face down the avenue of oaks instead of the creek. Running water and indoor plumbing was added, making the house one of the first to do so on the island (2). 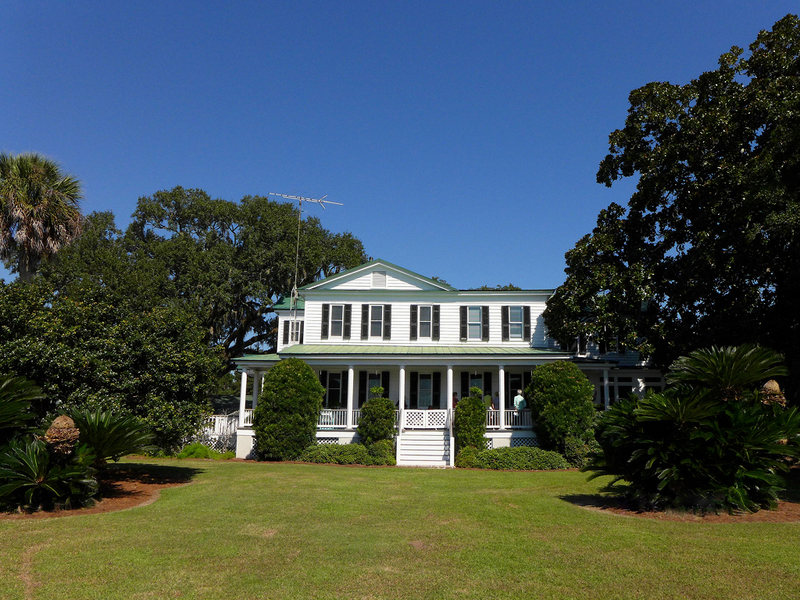 Circa 1990  Jim and Linda Murray became owners Cypress Trees Plantation, the fourth Murray generation to do so. They remodeled the house and opened it as a special events venue (2). Number of slaves  69 circa 1850-1860 by Archibald Clark, Ann Clark, Margaret Wilkinson, and Susan Clark. Although slaves were document before and after this year, this was the largest slave population at any one time at Cypress Trees Plantation (3). Information contributed by F. Meggett from the Seventh Population Census of the United States (1850). Information contributed by Linda Murray, who along with her husband, became owners of the plantation in the 1990s.